Hardwood flooring remains one of the most popular choices for home flooring. It’s a versatile solution that makes a distinctive statement with style variation. Every plank of hardwood is a unique piece of nature that matures over time with age and wear. Discover how you can use hardwood flooring in your own home design. Our experts' tips on proper cleaning and care for hardwood floors. Know what to expect from your new hardwood flooring installation. If you have questions about hardwood flooring, contact you flooring experts at the TUF Flooring showroom. We’d be happy to help with all of your flooring questions and needs. Domestic Hardwood is grown in the US while those from outside the US are known as exotic hardwoods. At TUF Flooring, many of our customers take pride knowing we support local business and those hardwoods grown from American soil. Our domestic flooring is often manufactured from high quality hardwoods and are commonly available in Maple, Oak, American Cherry, American Walnut, Pine and Hickory. Exotic Hardwood flooring features species such as Mahogany, Bamboo, Brazilian Cherry and Brazilian Walnut. There are other domestic and exotic flooring options from which to choose! Come to our store today and speak with one of our knowledgeable sales representatives. What’s the difference? Solid hardwood is the traditional version of hardwood flooring. They feature planks made from a single, solid piece of real wood. Engineered hardwood on the other hand is a layered wood floor made from thin slices of hardwood layered on top of another piece of high-quality wood composite such as plywood. Engineered wood is often more cost effective and versatile – and can often be installed on any grade, even in basements. The durability of your hardwood is determined largely by the thickness of each plank. In addition, other factors include the wear layer and finish. Standard hardwood planks come in a few different thicknesses. A ½-inch or 3/8-inch thickness is common for engineered hardwood planks, for instance. Solid hardwood floors, on the other hand, are much thicker – often ¾-inch with an added wear layer. This wear layer allows for additional refinishing. This is a selling point of solid hardwood over engineered. Engineered wood can often be sanded, but likely only a single treatment over its lifespan. Today’s popular styles feature authentic, worn and rustic looks. This is modernly achieved through additional treatments to the flooring during manufacturing to give a floor its unique look and feel. For example, a popular style is the distressed wood look. 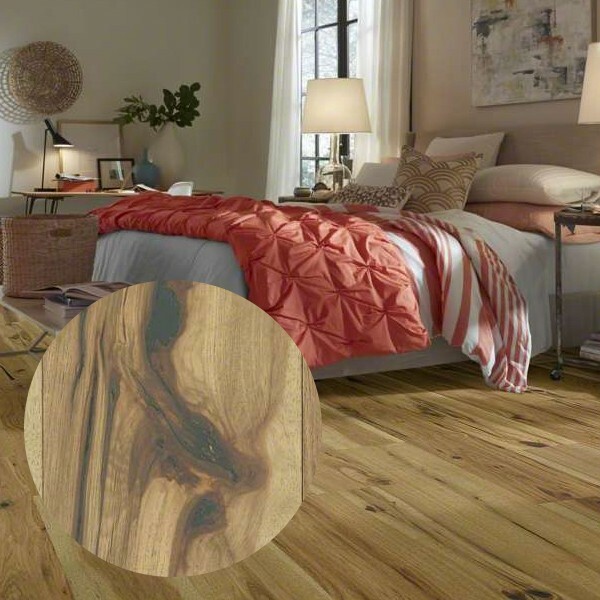 Manufacturers put their floors through various processes to give them the look of antique or reclaimed wood, hand-scraped like older floors and other process to give them a much sought-after style that wouldn’t be achieved if done by hand. Distressed hardwood styles solve both of those problems by making the antique look more accessible. Options include levels of customization from your choice of color, species and durability to give you the look and feel you want right out of the box. Looking for a rustic look? Hand-scraped and wire-brushed are both examples of distressed styles that fit in with farmhouse, rustic or country-inspired homes. 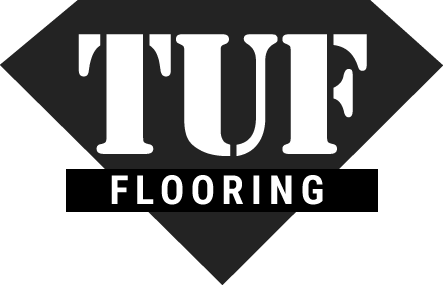 Ask our experts at TUF Flooring for more details about the differences.